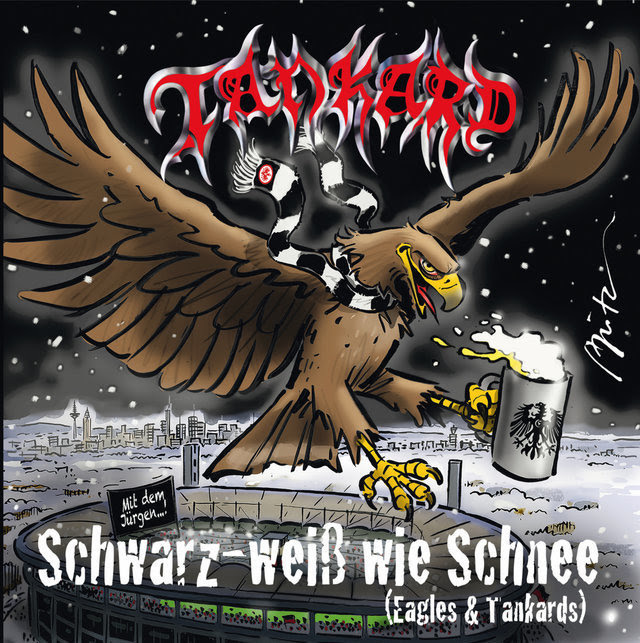 TANKARD Release Live Video Of "Schwarz-weiß wie Schnee"
Three months ago, the German thrash metal legends TANKARD played the Eintracht Frankfurt club anthem 'Schwarz-weiß wie Schnee' in front of over 30,000 enthusiastic Frankfurt supporters, a short time before the kick-off of the German cup final between Eintracht Frankfurt and Borussia Dortmund at Berlin's Olympic Stadium. The new version of the EP "Schwarz-Weiß wie Schnee" (which has been completely sold out for over ten years) will be released on CD and "7 Vinyl" on 15 September 2017 via Nuclear Blast. 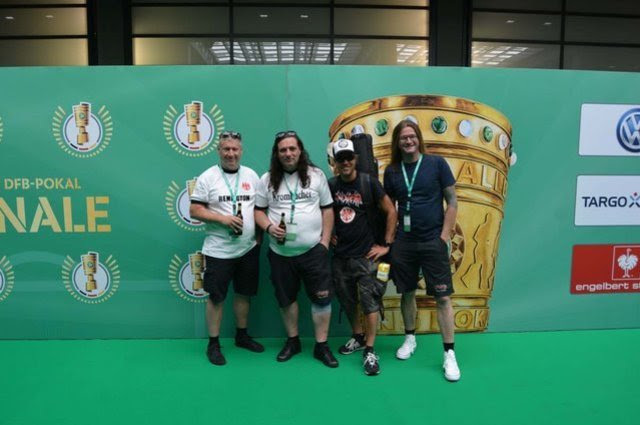 The Eintracht anthem, which has been played in the stadium for ten years before every home game of Eintracht Frankfurt, has now been completely re-recorded by the band. The thrashers were supported by Henni Nachtsheim (Badesalz), Ande Werner (Mundstuhl) and Roy Hammer (Roy Hammer & Die Pralinées), who can be heard in the backing choir. 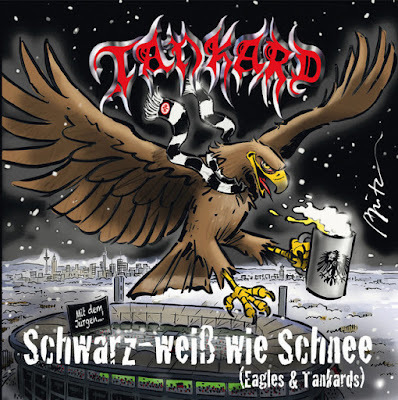 The artwork was designed by cult comic artist Michael Apitz, whose comics have been published for years in the stadium newspaper of Eintracht Frankfurt. TANKARD released their highly praised 17th studio album One Foot In The Grave in June ago via Nuclear Blast Records. With the enormous support of their loyal fan base, the band entered the German album Charts at #26, which marks the highest entry in the band's career. BELPHEGOR Release Second 'Baphomet' Teaser Video! ELUVEITIE Release New Lyric Video For "Catvrix"